Daily Painting. Priming small surfaces. from my studio on Daily Painting. Without too much hesitation, I can say that the idea of associating the process of learning with the DP and moreover, with the classical technique, was invented by your most humble servant. I want to mention right away that everything I will discuss from this point on is essentially an experiment; one to test the viability of the idea itself. This experiment should affect, only in a positive way, the study of the foundations of the classical painting technique. To deviate from the study of the great masters’ technique is really quite harmful – especially for those who are just beginning their artistic careers. But, I assure you as an experienced educator, I found in this idea new opportunities to deepen my knowledge and skills in the art of painting. 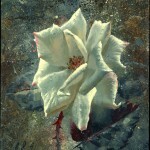 Embellish Giclee As promised, here is the first report from my studio. 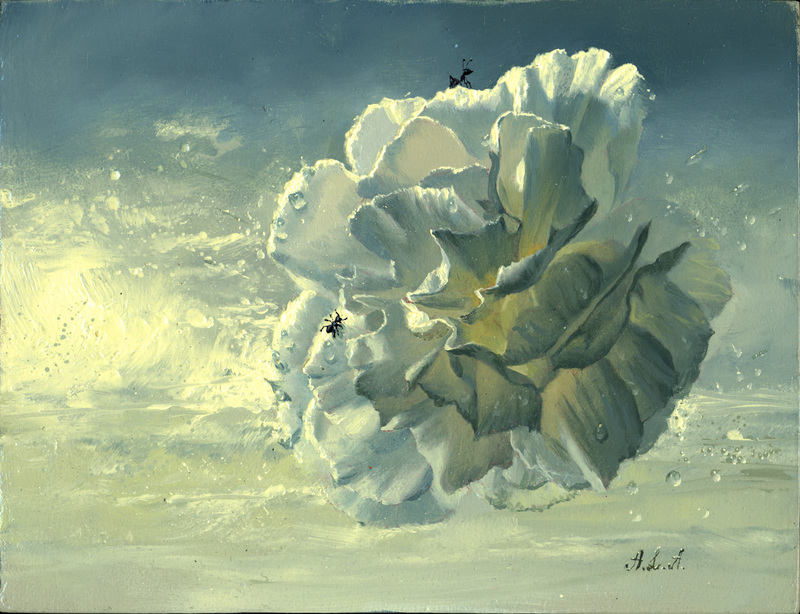 I needed to finish some of the Giclees for the exhibition at the Russian Center Seattle – Russian artists in America. 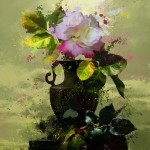 Giclee – is a very high quality reproduction of a painting and it is printed on canvas. It is not just a print, but a numbered limited edition, signed by the author. For example, 3/100 means that this one is the third of a hundred, the next will be 4/100, 5/100, etc. There is also an artist proof which is a small series of under ten copies, also limited, numbered and signed by the author. These advance copies (as we call them) are needed for the artist to balance the best color for a future edition. These circulations also differ and each of them will be finalized by me personally. This gives a real print quality made by hand, which is especially prized by collectors. 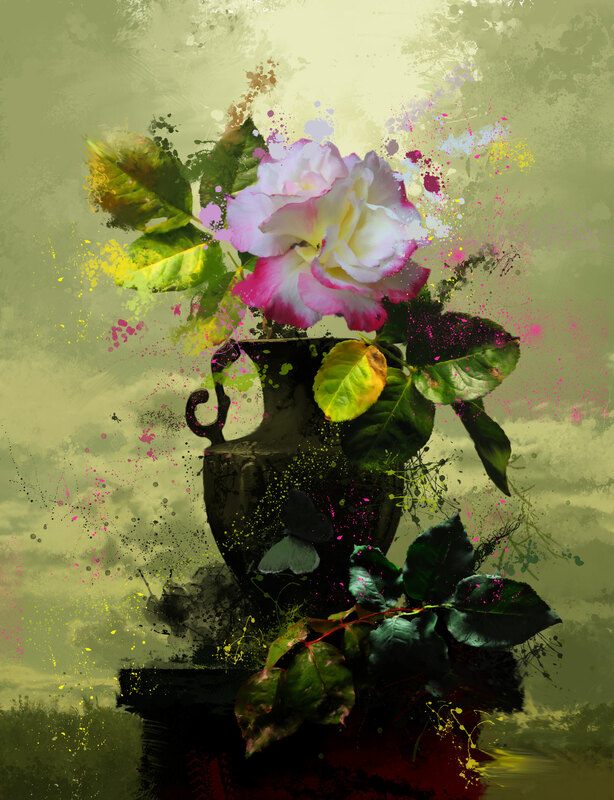 This print (Embellished Giclee) can cost two – three times more than a regular Giclee. In this video I demonstrate the process of manufacturing an Embellished Giclee canvas from the stretcher, and through the last coat of varnish. I did not talk very much because I wanted to focus on the process, which should be understandable to both an English and Russian-speaking audience. Pitcher and Currants Dear friends, I would like to inform you that I have finished the first video experimentation in the Daily Painting series. 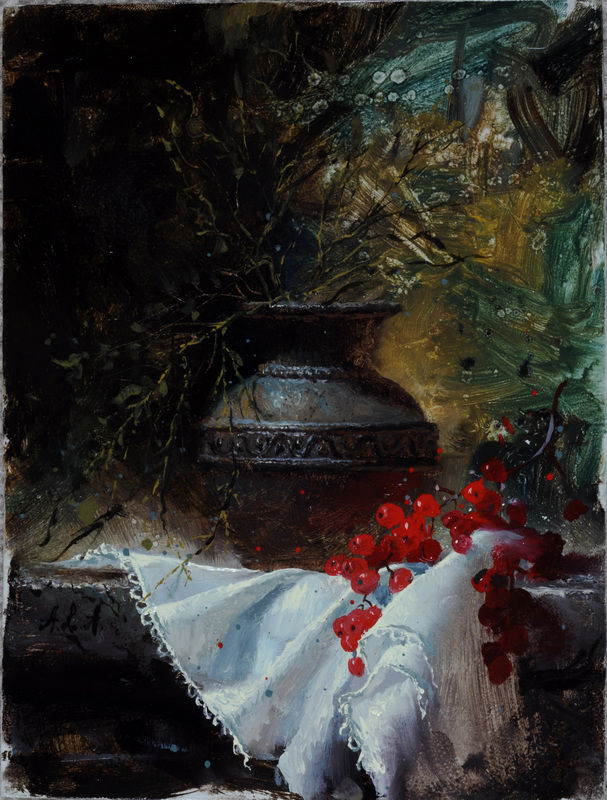 The still-life, 7×9”, called “Pitcher and Currants”, has 4 parts that are each about 30 minutes in length. The entire painting took about three hours, but I have broken it down so that you can see the almost-entire process. 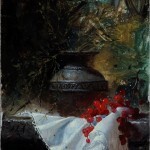 I took a simple jug with an abstract background, a white cloth, and currants. This is certainly not a masterpiece, but I have achieved the desired result. I “warmed up a hand” after a long break from painting. 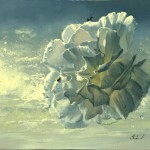 In this piece, I worked on the “timing” and was not mistaken – it is really possible; a smaller size performed quickly. What is particularly valuable? 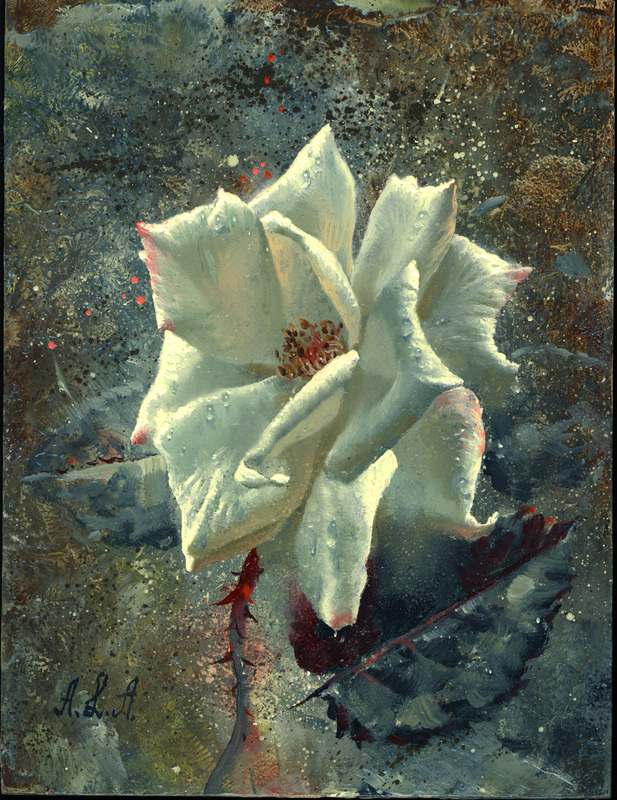 It is an attempt to implement a single-layer process with minimal blending, which develops precision of the applying brush. Also, I tried to the full effect of Liquin and felt the effectiveness of its action, even at the second hour of work. Because the sections dried quickly, I was easily able to apply the second layer.